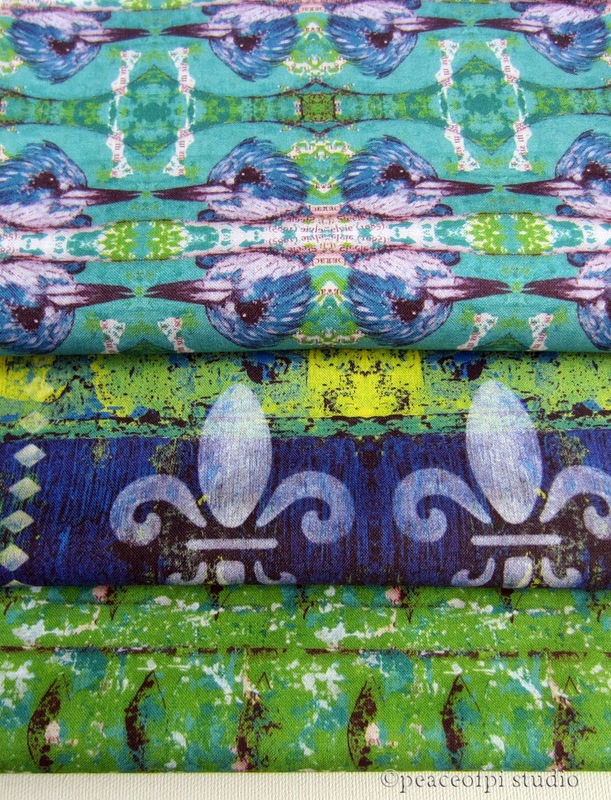 Three fabrics, part of the Kingfisher Graffiti coordinates from the peaceofpi fabric collection at Spoonflower. These fabrics are Kona Cotton and they are also available in knit and silk. Created from original mixed media paintings, they have a delicious grunge graffiti feel. The kingfisher fabric in turquoise and green is bold, the fleur de lis is dramatic in indigo with citrus yellow and green and the diamond design is multi-hued green with grungy black diamond shapes. So many possibilities for creative sewing fun with these designs.